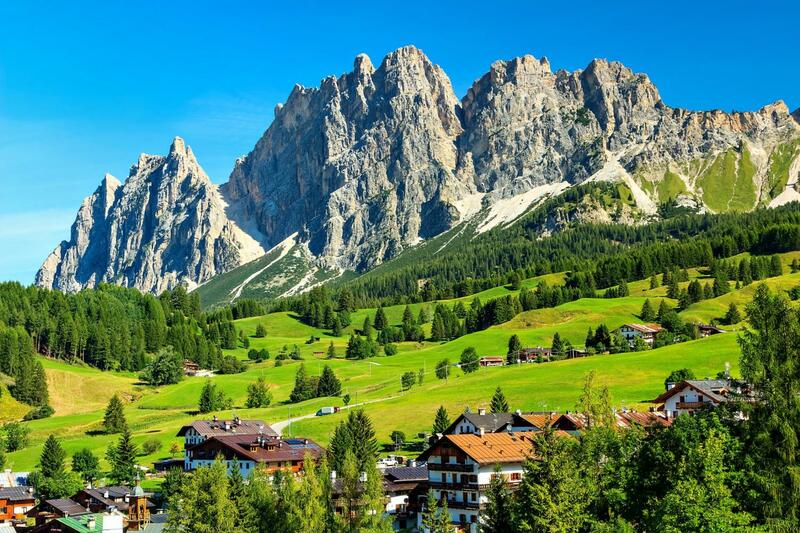 Private Dolomites Day tour from Venice , including the mountain town Cortina , the stunning Tre Cime di Lavaredo, where it is possible to enjoy an easy and optional walk , Lakes Misurina and Santa Croce and many stops at scenic viewpoints . PRIVATE TOURS CAN BE ORGANIZED IN ENGLISH & OTHER LANGUAGES! 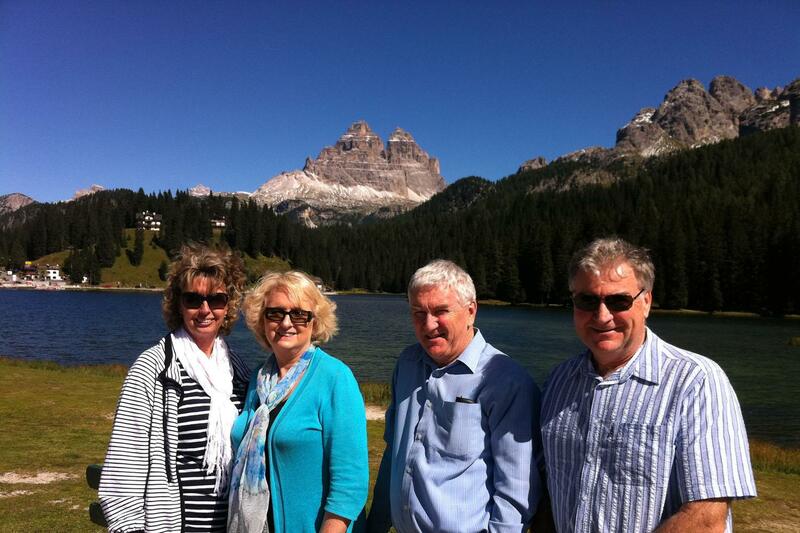 Private Venice Day Tours & Excursions to the Dolomites have been designed to provide visitors the opportunity to enjoy breath-taking views of the most stupendous mountain, lake and valley scenery that the Dolomites and Italy have to offer. From 15 november until 31 March, this tour will visit San Candido and Lake Braies instead of Tre cime di Lavaredo and Lake Misurina . And from last week of November until 6th January experience the lively Christmas Market in San Candido . Your expert driver-guide will provide you with an intimate experience of Italy's most beautiful mountain range. Our carefully designed itinerary features scenic back-roads with plenty of photo-stops for all the different photographic opportunities these mountains afford. During the day, you'll be truly amazed by the contrast between nearby Venice and the snow-capped peaks of the Dolomites. Spending as much time as possible off-the-vehicle to enjoy the scenery of the mountains, you will drive along roads with only a few twists and turns, through a land of towering peaks and spires, contrasted by peaceful valleys sprinkled with lively villages. 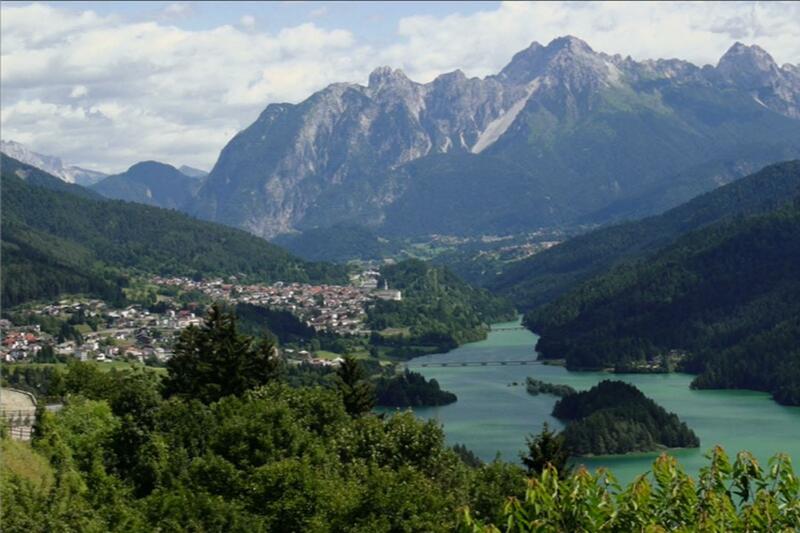 Visit Pieve di Cadore, the birth place of Titian, an enchanting mountain village where we'll discuss the history and legends of the people of the mountains, and their unique culture. Throughout our Private Venice Day Tours to the Dolomites & Cortina your guide will stop at spectacular view points that will guarantee you an up-close and personal impression of the Dolomites. At every photo-stop, it will seem as if you were in a completely different range of mountains. Along with wild flowers in bloom, rustic farmhouses and the ringing of cow bells, our Dolomites tour will provide you with a day full of memories. 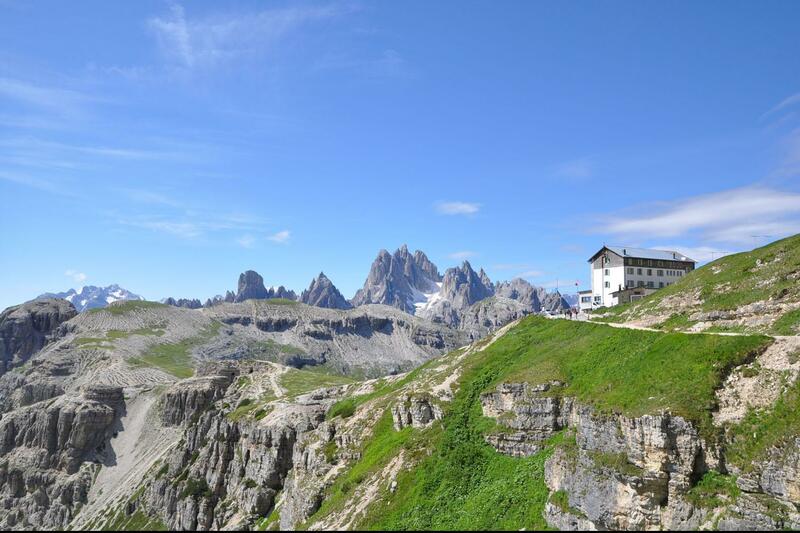 The Highlight of the day will be a drive-up to the Tre Cime di Lavaredo at an altitude of 7,500 ft. Standing directly below these towering peaks that are the most famous in the Dolomites, you will be able to gaze out across a myriad of ranges and peaks that make up the Dolomite Mountains. Take an easy walk along a level trail to further appreciate the beauty of the mountains. 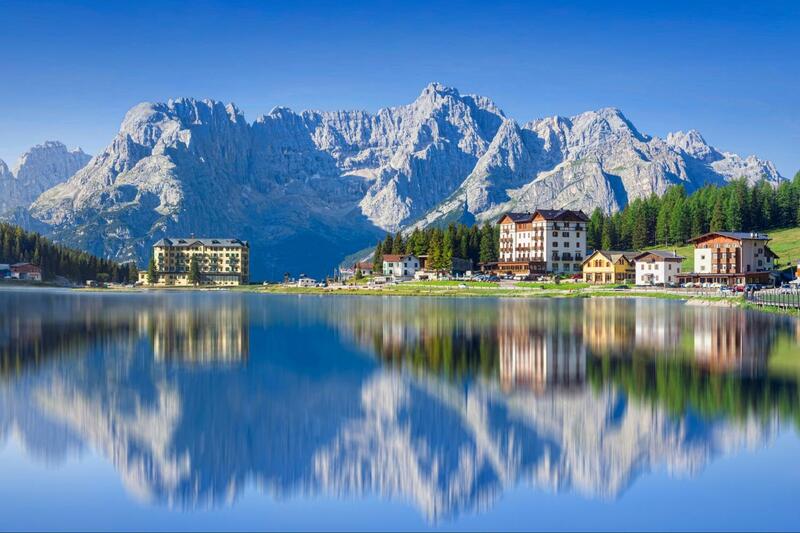 Our Private Venice Day Tours of the Dolomites also include a visit to the cosmopolitan ski resort of Cortina. We will see the old Olympic Ski jump and admire the setting of the Dolomites most famous town before making our way back to Venice. In the late afternoon, following scenic roads through ever-changing countryside, as we make our way back to Venice. Passing several major peaks along the way, you'll have plenty of time to savour the different colours of the Dolomite mountains as they are illuminated by the late afternoon sun. From November 15th until March 31st, join the Dolomites Day tour from Venice to visit Cortina, where you’ll have free time to walk around its busy city center and peruse the many shops of this famous Dolomites town. Then we’ll make our way to the picturesque Braies Lake, known as “the Pearl among the Dolomites lakes”. It’s set in the beautiful Val Pusteria Valley and considered to be one of the most beautiful South Tyrolean lakes. Here, you’ll have the opportunity for an easy walk or to enjoy the beautiful sight from one of the coffee shops by the lake while sipping a hot chocolate. Next, we’ll head to San Candido, one of the most beautiful South Tyrolean villages in the Dolomites. The focus is on its pedestrian zone with its many colorful shops and the hustle and bustle of people. You can stroll around and taste local specialities like speck, local cheeses, the mouth-watering Canederli dumpling—a traditional first-course recipe handed down from one generation to another—and for the sweet tooths; the delicious Strudel cake. 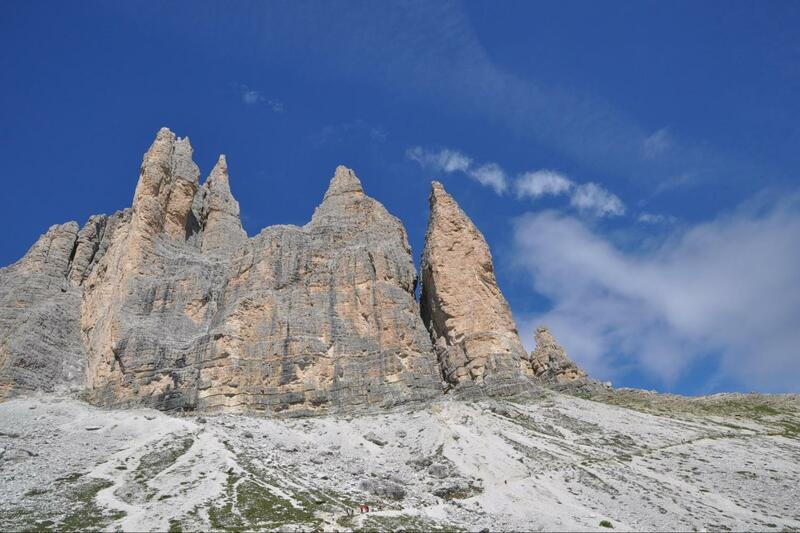 Tre Cime di Lavaredo are open seasonally (from late May until October) and are subject to weather conditions. 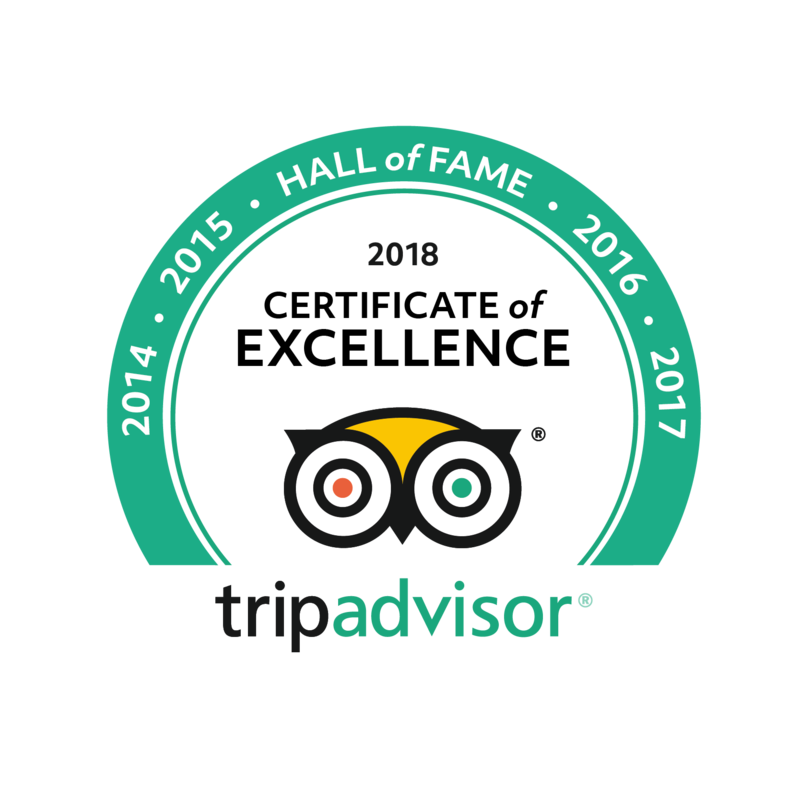 Under bad weather conditions, in case of rain or bad visibility, we offer, after the visit of Cortina a back up plan featuring the visit of a wine area, including wine tasting and including the visit ot the famous and awe-inspiring Follina abbey. We enjoyed every minute! We were conviently picked up and dropped back off to our Hotel in Treviso for a minimal fee. The itinary included Pieve di Cadore, Lake Santa Katarina, Le Tre Cime di Leverado, Misurina, Cortina and at the Olympic Ski Jump. Thankfully the weather was fine and the scenery was amazing. The Dolomites & Cortina was beautiful! We loved it!